This heavy duty metal bed fixing bracket set is designed for use with wooden beds. 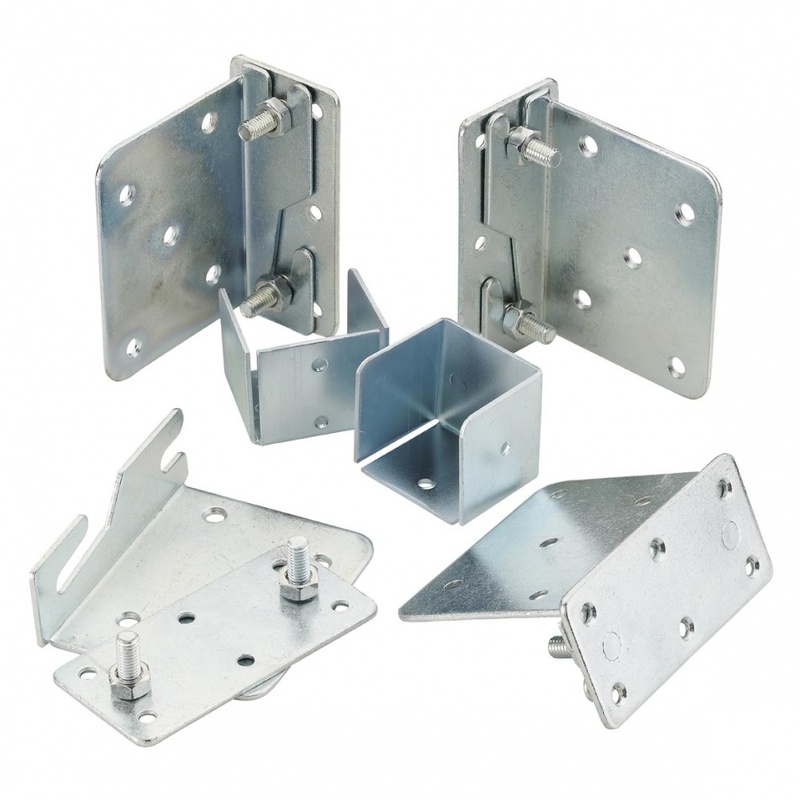 The kit conists of 4 x 2 piece corner brackets ( 2 x left and 2 x right), which consist of hook brackets and their accompanying plates & bolts, and are used to connect your bed fame together. Also included are a pair of Square Centre Support Rail Brakets that connect the wooden centre rail of your bed to the frame.